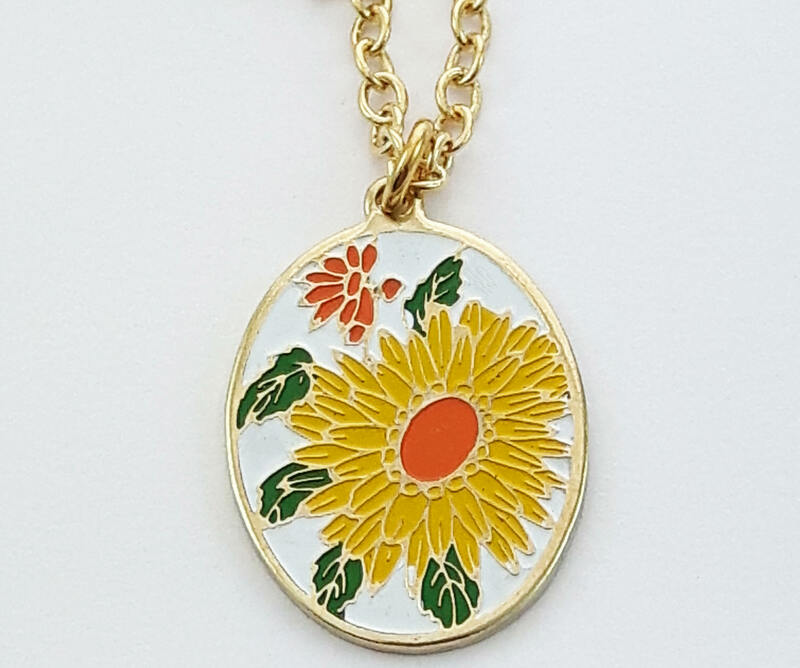 Vintage Enamel Oval Necklace with Yellow and Orange Daisy. 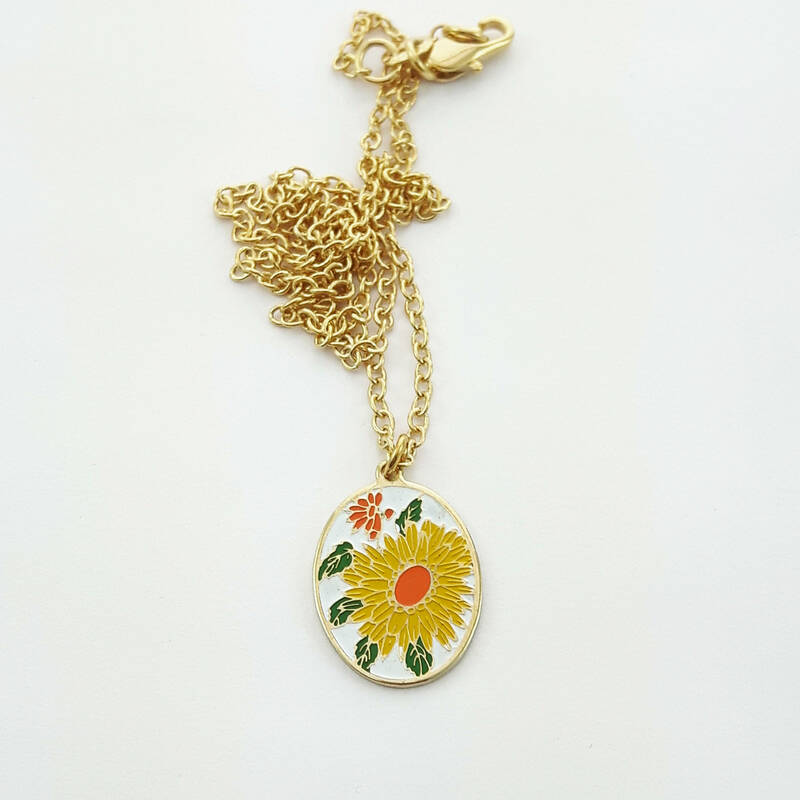 Pendant Dimensions: 18mm H x 14mm W.
Pendant Material: Brass and Enamel. 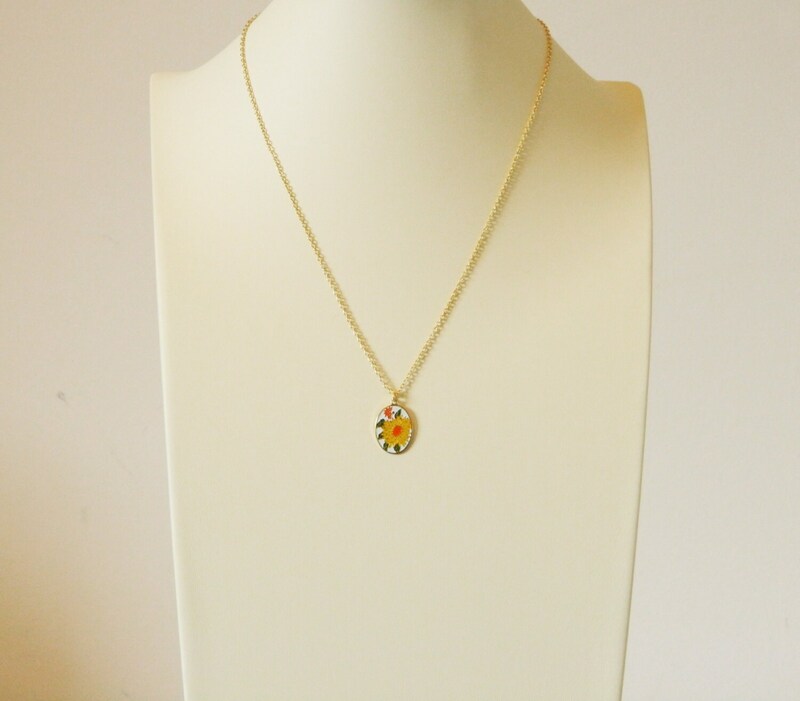 Chain: New 18K Gold Filled Chain.